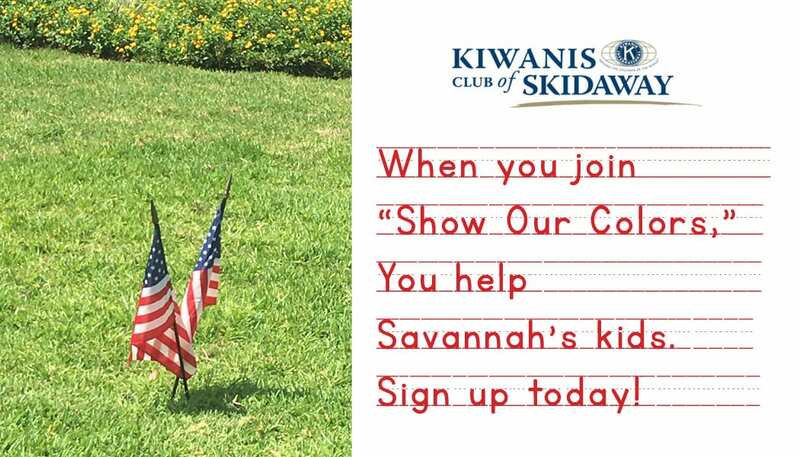 Join Us for "Show Our Colors"
Donate $50 and enjoy two lawn flags on Veterans Day, Presidents Day, Memorial Day and the 4th of July. We install and remove them each holiday, and net proceeds help Savannah’s kids. Contact: Keith Glenn, 598-9483.